Following up on Black Friday's deals, Cyber Monday brings $40 off the Razer's 2014 BlackWidow mechanical keyboard, $50 off the KitKat-equipped HP 8 Android tablet, $70 off the GoPro Hero3+, $150 off Dell's 24" 1920x1200 UltraSharp after factoring in a straight $50 discount and a $100 gift card, as well as the lowest price we've seen on Lenovo's ThinkPad X1 Carbon, which comes with a Core i5, 128GB SSD and a three-year warranty for $840 -- usually well over $1,000 and pricing is a common complaint about this model so the savings should be particularly welcomed. Starting 12/1 7AM EST! Dell U2415 24" 1920x1200 UltraSharp IPS Monitor w/ 3-year warranty & $100 eGift Card for $349.99 with free shipping (normally $399.99 | add to cart to see eGift card mention | effective final price is just $249.99 assuming you use the eGift card entirely). HP Pavilion 17z 17.3" AMD A4 Quad-core Laptop for $329.99 with free shipping (normally $449.99). Lowest price ever! Lenovo ThinkPad X1 Carbon Core i5 14" 1600x900 Ultrabook w/ 128GB SSD, 3-year warranty for $839.40 with free shipping (normally $1,399). 12/1 only! HP 8 G2 Quad-core Android KitKat Tablet w/ 16GB Storage, GPS, microSD card slot for $99.99 with free shipping (normally $149.99). 12/1 only, limited quantities! HP Chromebox for $129.99 with free shipping (normally $179.99). Great low prices on Lexar, PNY, Samsung, Kingston Flash Drives & Memory Cards [32GB USB 3.0 Flash Drive $10 | 32GB Class 10 microSDHC $13]. 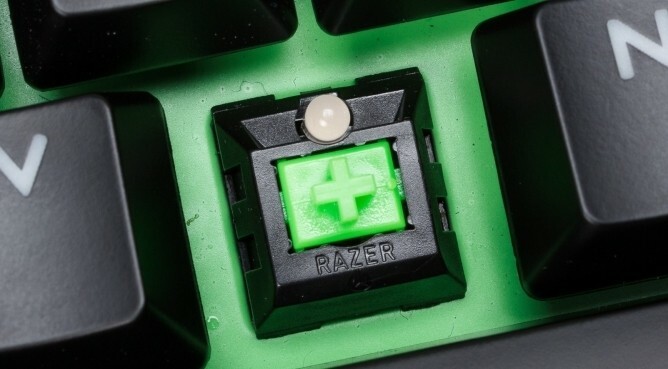 Razer BlackWidow Ultimate 2014 Elite Mechanical Gaming Keyboard for $89.99 with free shipping (normally $129.99). Linksys AC2400 4X4 Dual-Band Gigabit Wi-Fi Router for $199.99 with free shipping (normally $279.99). Xbox One Assassin's Creed Unity Bundle for $329 with free shipping (normally $349). Diablo III: Ultimate Evil Edition (PS4/Xbox One) for $34.99 with free shipping (normally $49.99). Call of Duty: Advanced Warfare (Xbox One) for $39.99 with free shipping (normally $59.99). Starting 11/30 9PM PST! GoPro Hero3+ Black Edition for $329.99 with free shipping (normally $399.99 - only 700 units available). Pre-order The Limited Edition Code Black Drone + HD Camera for $89 with free shipping (list price $199). 40" Samsung UN40H5203 1080p Smart LED TV for $327.99 with free shipping (normally $399). 55" VIZIO E550i-B2 1080p Smart LED HDTV for $528 with free shipping (normally $679.99 - price valid for Amazon Prime members only). 55" Samsung UN55H7150 1080p 240Hz 3D Smart LED TV for $997.99 with free shipping (normally $1,199). Up to $150 off select Dyson Vacuum Cleaners and Hot+Cold Fans.